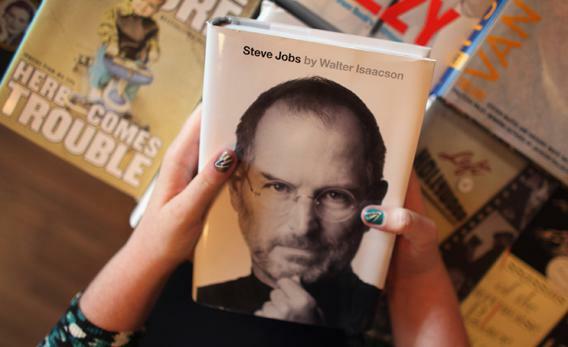 Watch a live digital town meeting featuring Steve Jobs’ biographer Walter Isaacson. Photograph by Joe Raedle/Getty Images. The death of Steve Jobs has caused many of us to take stock of the way technology has woven itself so tightly into the fabric of our daily lives. Smartphones, tablets, social networks, and an ever-expanding universe of apps have fostered a level of connectivity that was unimaginable even five or 10 years ago. But with that hyperconnectivity comes questions about how best to navigate our daily lives and what the future holds. That’s the focus of The Connected Lifestyle, a digital town meeting, sponsored by Harman and moderated by Slate’s Jacob Weisberg, on Wednesday, Oct. 26, at 5 p.m. ET. The program opens with an interview of Walter Isaacson, president and CEO of the Aspen Institute, whose biography of Steve Jobs went on sale this week. Weisberg will also moderate a panel featuring Marios Zenios, Chrysler’s head of connectivity and infotainment; Philippe Guillemette, CEO of Sierra Wireless; Farhad Manjoo, Slate’s technology columnist; Roger Lanctot, senior analyst for Strategy Analytics; and Robert Acker, general manager of Aha Radio by Harman. If you couldn’t tune in for the live stream, Slate will make the full video available on demand in this page later in the week.